You’ve got clients like that, right? So you know how frustrating it is to give them your expert (and expensive) advice only to see them ignore it. Even lawyers do it. In fact, lawyers probably do it more than regular folks. I’ve done hundreds of consultations with lawyers who seek out my advice, pay for it, and then, I’m pretty sure, do nothing. Oh well. As long as their check cleared. Here’s what’s interesting. I can almost always tell that they’re not going to follow my advice at the very moment I’m giving it to them. They’re only half listening. They’re not asking questions or writing anything down. They’re going through the motions of getting advice but their voice tells me they aren’t going to follow it. Why? Because they don’t want to. They don’t want to change what they’re doing. They don’t want to hear that they’ve been doing something wrong. In fact, I suspect that many lawyers hire me not because they want to learn something but because they want me to validate what they’re currently doing. Does it bother me? Hey, I’m not their mother. I can’t make them follow my advice. Okay, it is frustrating. But when I talk to a lawyer who “gets it,” it makes it all worthwhile. Last week, I did a consultation with a personal injury attorney who wanted my help with his advertising and his website. The ads he’s been running for a long time aren’t doing as well as before. Within 30 seconds, I knew what the problem was and told him what to do. I don’t know if he’ll follow all of my advice, but I’m pretty sure he’ll do what I suggested about his ad and website. I could hear it in his voice. He got it. It made sense to him. I could almost hear his palm slapping his forehead. While there’s no guarantee that it will work, at least he’s got something to try. Which is better than being an Askhole and doing nothing. When you have a problem, or you have to make an important decision, who do you turn to for advice? Do you have friends or networking contacts who are subject matter experts in pertinent areas? Do you know successful professionals and business owners who can provide general business advice and help you sort things out? Do you have mentors or a panel of advisers? Try never to be the smartest person in the room. And if you are, I suggest you invite smarter people … or find a different room. In professional circles it’s called networking. In organizations it’s called team building. And in life it’s called family, friends, and community. We are all gifts to each other, and my own growth as a leader has shown me again and again that the most rewarding experiences come from my relationships. Getting proper advice can accelerate the growth of your career by helping you to avoid costly mistakes and leverage existing opportunities. You might figure things out yourself but why not talk to people who already know? You can find advisers through formal networking or by asking your existing contacts for referrals or introductions. .
Start by asking for help with specific areas rather than general business advice. What kinds of information or advice do you need? Who might know someone who is an expert in that area? You might start your own mastermind group. Ask four or five successful professionals or business owners in different areas to meet with you once or twice a month to share ideas and advice. If you have more money than time, you might hire several experts on a trial basis. No doubt you are intelligent and good at what you do. But that can only take you so far. If you want to take your practice to the next level, go find some people who are smarter than you. 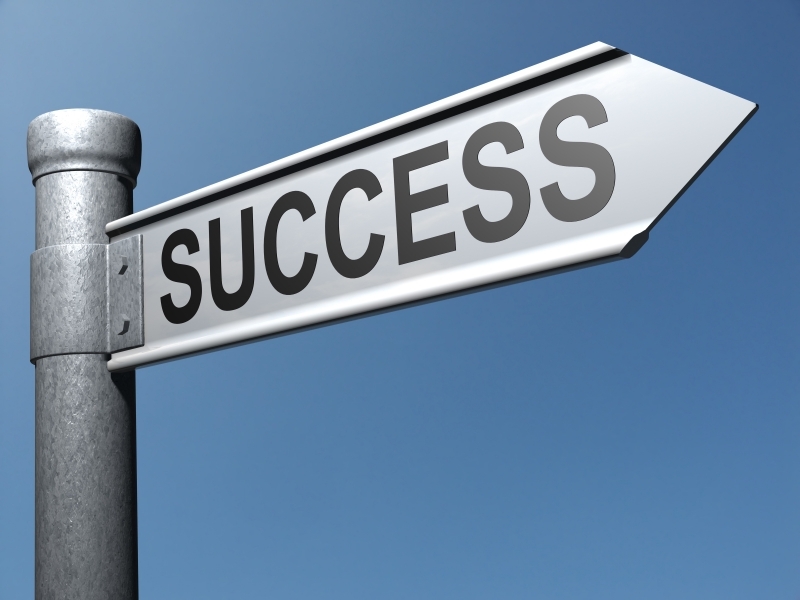 Yesterday, I spoke with an attorney who wants to increase his income and is transitioning into a new practice area. It turns out that if he had a choice, there’s something else he’d rather be doing career-wise and it’s not practicing law. Because you can completely re-make your life in five years. Write your scenario in the present tense. It’s already happened. You’re living the life you want, doing the things you want, being with people you want. What does your typical “ideal day” look like? I’ve given this exercise to many people, and done it myself. I’ve found that people often have trouble being honest with themselves about their ideal day. They don’t believe that what they really want is possible so they choose something different, something they think is possible, or something they think other people in their life would approve of. When you do this exercise, you must forget possible. Ignore “how” (for now) and simply describe “what”. The idea is that once you have described your ideal life, you’ve got something to work towards. “Start with the end in mind,” and work backwards to make it so. What would you do with your time if you weren’t allowed in your house from 8am – 7pm, didn’t have to work, and your children were being taken care of? Answering this question can help you describe your ideal life scenario. Once you have done that, once you know where you want to go, the next thing you have to do is figure out how to get there. You do that by asking yourself another question. The better questions we ask ourselves, the better the answers will be. . . Your subconscious mind. . . will start working out ways to answer your question. So, if you constantly ask: ‘Why do I never get what I want in life?’ Your subconscious mind will go to work to help you find the answer and it will always be negative. Whereas if you constantly ask yourself ‘How can I make this possible? your subconscious mind will get to work and start looking for ways to get what you want. To get better results in life, first ask, “What do I want?” Then ask, “How can I get it?” Your subconscious mind knows the answers. 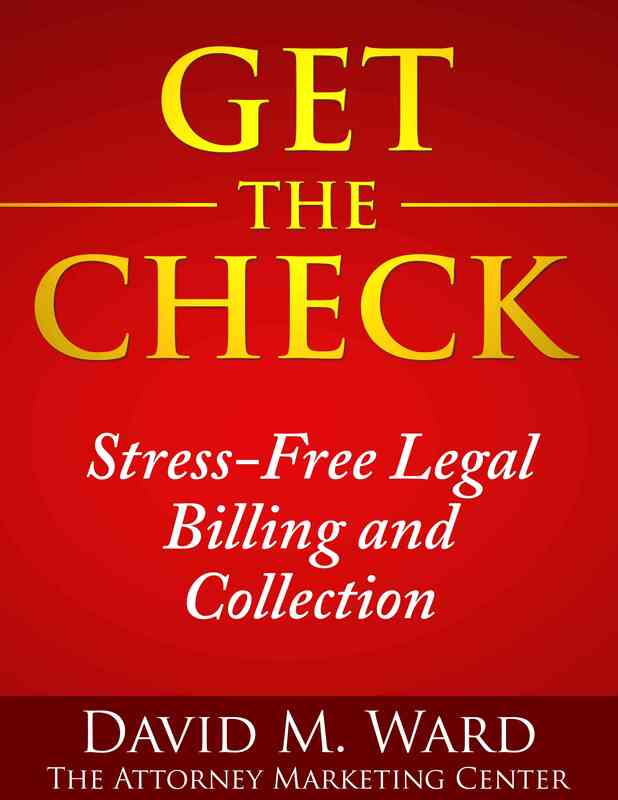 Are there any lawyers in your market who do what you do and have clients who can afford to pay their fees? If not, you need to change practice areas or move. If the business isn’t there, it isn’t there. On the other hand, if other lawyers in your field are getting paying clients, then it’s not the market. The work is there. 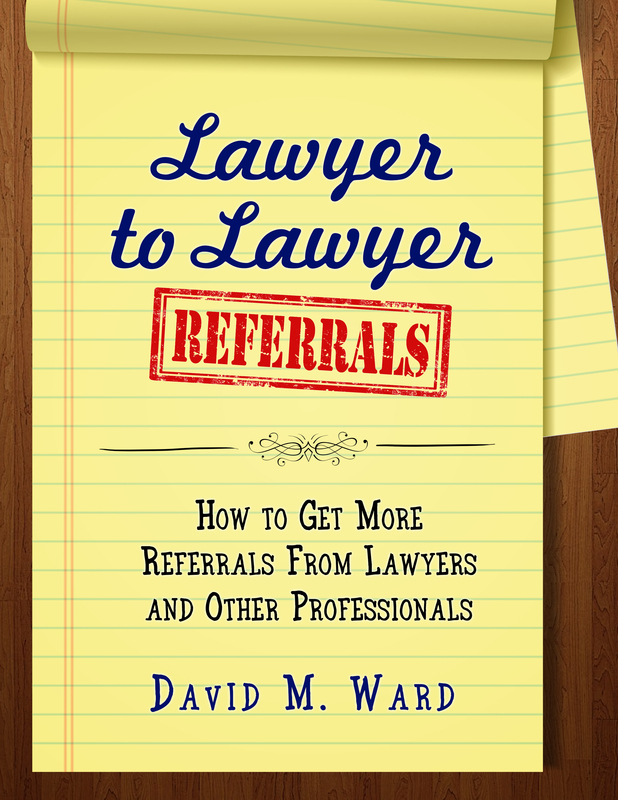 You just have to get those better paying clients to come to you instead of those other lawyers. Start by looking at what those other lawyers are doing. Study them, as I mentioned yesterday. What are they doing that you’re not doing? What are they doing better than you are doing? What are you doing that they don’t? Do they specialize? Specialists generally earn more than general practitioners. One reason is that clients prefer to hire specialists. They are also willing to pay higher fees to a specialist. If these other lawyers specialize and you don’t, you have to consider doing so, or at least disguising the fact that you don’t. One way to do that is to have separate websites for each practice area. How much do they charge? More than you, less, about the same? 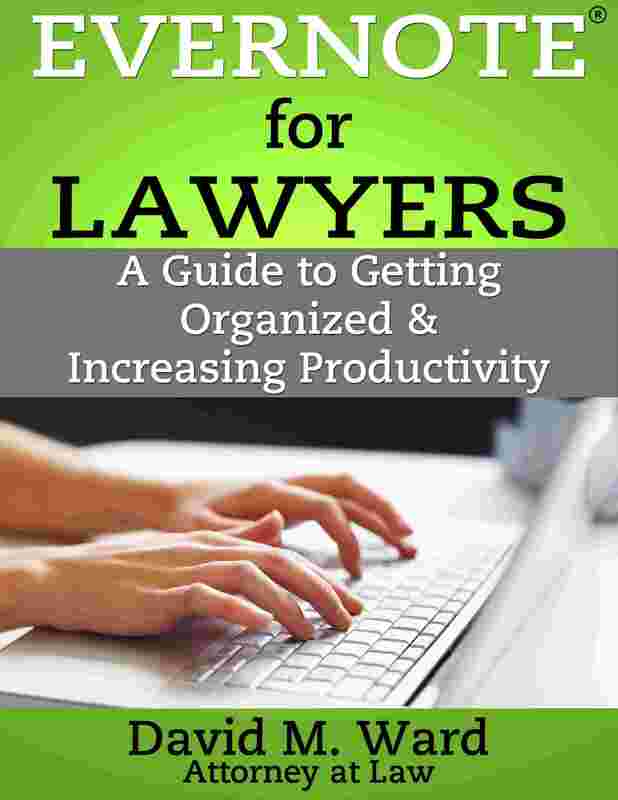 Most attorneys compete for the bottom eighty percent of the marketplace. The most successful attorneys target the upper ten or twenty percent, which obviously includes people with money. How do they bill? Hourly? Flat fees? Blended? How big of a retainer do they get? What do they do to make it easier for their clients to pay? Look at their website. What elements do they have that you don’t? Can you do something similar? How can you improve on what they have done? What are you doing on your website that they don’t do that might be hurting instead of helping you? Also look at what you are doing. Look at the better clients you have attracted over the last year or two (the ones who have money). Where did they come from? 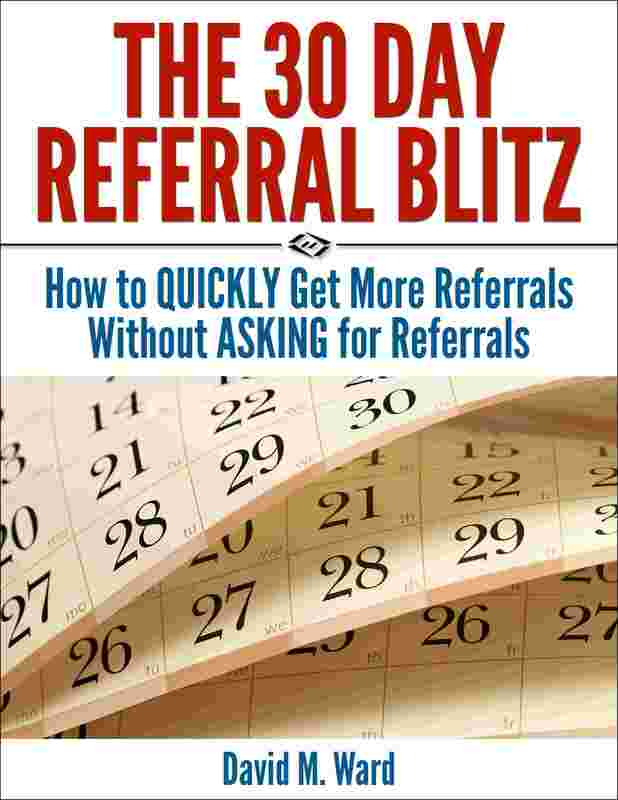 If they came from referrals from your other clients, for example, figure out what you did that precipitated those referrals and do more of it. 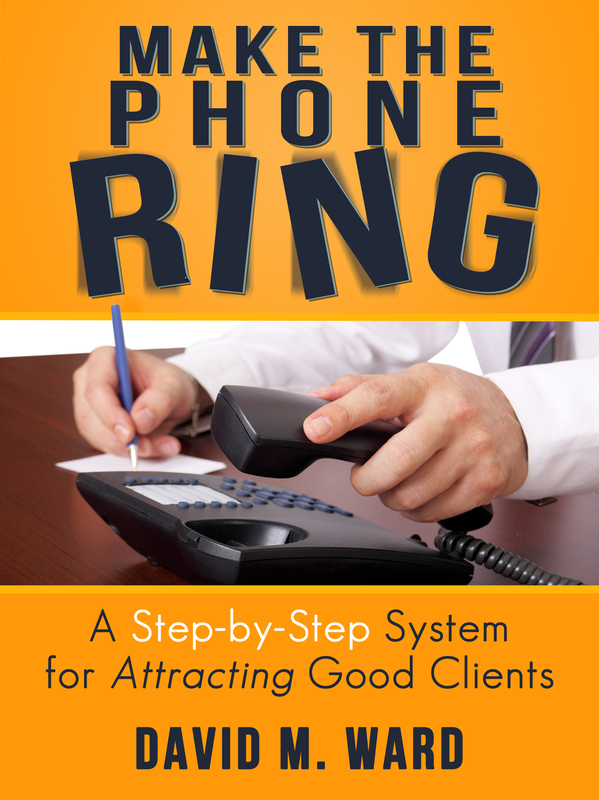 In addition, look at what your better clients have in common. Industry, occupation, ethnicity? Where can you find more like them? Also look at the people who are contacting you who can’t afford you. Where are they coming from? Whatever it is that you are doing to attract them, stop doing that. And screen them out before they come to see you. For example, you might quote your minimum fee package on the phone or on your website. This way, if they can’t afford this, they won’t call or come to see you. I don’t know what you’re doing now to market your services but whatever it is, there are always other things you can try. It might be helpful to get out a piece of paper, draw a line down the middle, and on the left side of the page, write down everything you are doing that could be considered marketing. On the right side, write down things you aren’t doing, including things you used to do but abandoned. Keep adding to the list on the right and try some new things. Create a simple marketing plan. In addition, look for ways to improve what you are doing. If you are networking, for example, consider finding a different group and/or working on your follow-up. Finally, seek some perspective on your current situation. You say you’re having a bad month but everyone has bad months. Next month could be great. If it is, don’t rest on your laurels. The best time to ramp up your marketing is when you’re busy, not when you’re in a slump. If things continue to be bad, don’t panic. It’s nothing five new (paying) clients can’t fix. You can turn things around quickly. Cut overhead to give yourself some breathing room and get busy with marketing. You have the time for it, right? That’s one of the advantages of a slump–less work means more time for marketing. Think about getting some help. Get a workout partner. Hire someone to point you in the right direction and/or coach you. Whatever you do, don’t dwell on the bad. Think about where you are going, not where you have been. If you need help with your marketing, contact me and let’s talk. Writing, oral argument, marketing, parenting–whatever it is that you want to get better at, you’ve got to DO it. You can read about it until you’re blue in the face, you can attend seminars, and you can hang out with experts and watch what they do, but at the end of the day, you have to get out there and do the thing yourself. You’ll make mistakes. That’s how you learn. At one point in your life, you didn’t know how to walk. Now you can. You learned by trying and falling, again and again and again. There are no shortcuts. The only way to develop a skill is to do what you’re not good at until you get better. This means getting out of your comfort zone, risking embarrassment, frustration and failure. But, you can also get some help. Whatever is it you want to improve, you can find someone who is better than you and ask them to mentor you. One of the best things about having a mentor is that they allow you to fail in a relatively safe environment. Yes, you risk criticism but it’s not public. You can formerly hire a coach or consultant or you can find someone who is willing to give you a few minutes here and there to critique you and give you advice. Find someone who is good at what you want to do. Ask them if they would be willing to mentor you. Make it easy for them to say yes by letting them know you’ll respect their time. You can learn a lot from an expert, even if you only talk to them for ten minutes once a month. And if you’re good at something, be a mentor. Share your skills and experience with others. Pay it forward. The top people in any industry, whether sports or business or the arts, have coaches. Attorneys should, too. A coach can provide training and mentoring and yes, some hand holding, but perhaps the most valuable service they offer their clients is providing a mechanism for accountability. My coach taught me that accountability is one of the most powerful forces in motivating human behavior. I know when I have to report my progress to him at the end of the week, I get the work done. Without that accountability, it’s too easy to delay and defer. I don’t know why I listen to my excuses, but I do. I’ll bet you do, too. If you want to get more done, especially in the area of marketing your legal services, you should consider hiring a coach. Actually, you should hire me. 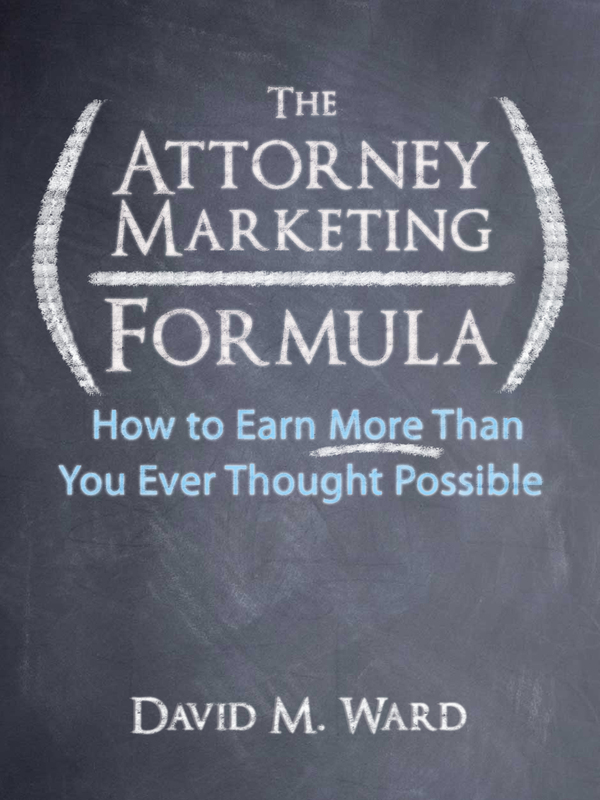 As an attorney, I built a successful practice by implementing marketing strategies and techniques that I learned through a lot of trial and error and a lot of study. As a marketing consultant, I’ve helped hundreds of attorneys with different backgrounds and practice areas in all phases of marketing and business development. If you are on my newsletter list, you will be notified when the next group coaching program is open. If you’re interested in one-on-one coaching, please call me at (949) 888-2800 or use this contact form. If you want to be at the top of your profession, surround yourself with experts who can help you achieve more than you can achieve on your own. Hire someone to help you determine your most important goals, equip you with the tools and resources for achieving those goals, and hold you accountable to the monthly plans and daily activities that will help you accomplish them. “Most people fail to achieve the goals they set,” my mentor and personal coach David Byrd told a group of 2000 entrepreneurs over the weekend. You probably already knew that. But do you know why? The first part of the answer is that they don’t know how to set goals in the first place. Should you choose goals that are so easy you know you will accomplish them? Well, if you do that, you’ll feel good about accomplishing a lot of goals but you won’t see much growth. So how about choosing huge, lofty goals you will probably never accomplish? Is that the answer? I used to think so. For years, I set goals I never came close to achieving. Year after year I would set the same goals and year after year, fail to accomplish them. It was discouraging and eventually, I lost interest in goal setting. Now, things are different. I know how to set goals that are both inspiring and achievable and I am achieving them. But not just because I know how to set them properly. You also need a system for goal achievement. On Wednesday, January 19, I’m hosting a webinar featuring David Byrd who will teach you how to set goals and achieve goals. You’ll learn a system he has used for more than thirty years working with professionals, executives, and business owners, as an executive leadership coach. The webinar is 100% free and I promise you will learn a lot that you can use to achieve more in 2011. So it’s a new year and you’re ready to get back to work. If you’re like most attorneys, you’re excited about all of the plans you’ve made for the future but feeling overwhelmed with everything you have to do. You’ve got “too many”. And let’s not forget your legal work. You know, the stuff that actually gets you paid. In a previous post, I wrote about how I dramatically cut my work hours (and stress) by delegating. If you’ve ever emptied a closet or a desk drawer, all that empty space feels good but you know it won’t last. It’s only a matter of time before that closet or drawer is once again filled to overflowing. Once you get good at delegating as much as possible and have more time available, it’s the same thing: you find more and more things to fill your time and before you know it, once again, you’re overwhelmed. I’ve still got “too many”. I have a backlog of hundreds of articles I need to read and I’ve bookmarked so many web sites to visit my head is spinning. I glance at the updates in my Twitter stream and wonder how I could possibly read even a fraction of the tweets that go past me, let alone follow up on the relevant ones, let alone connect with the people who sent them. I think it’s safe to say we all have “too many”. So how do we avoid being overwhelmed? None of us will ever get it all done. We’ll never read all those articles or complete all those projects. There’s too much and there will always be more and the first thing we need to do is acknowledge that we’ll never get it all done AND THAT’S OKAY. The key to success and a well-lived life isn’t doing everything, it’s doing the most important things. It is the 80/20 principle: a few things matter, most everything else doesn’t; the ones that matter are the ones that produce most of your results. Focus on doing a few important things, and don’t worry about the rest. Success comes from achievement, not from being busy. About a year ago, I started working with David Byrd, an executive coach, who helped me get clear about what I wanted to accomplish. He taught me the value of being driven by vision–my vision of the future I want to create–instead of being driven by circumstances. The idea is to start with the end in mind and then set goals that are consistent with that vision. In doing so, we cut through the clutter of “too many” possibilities and focus on the most important ones. The system gives me a place to come back to whenever I find myself wandering. WhenI feel overwhelmed or losing clarity about what to do next, I revisit my vision and my goals and I’m back on track. David Byrd also taught me a system for achieving my goals. I plan each month so that my activities (projects, actions, etc.) move me forward towards my goals. I also plan each day. As a result, I always know what I need to do. In short, the system helps me put one foot in front of the other and continually move forward towards my destination. I don’t get distracted by all of the side roads or billboards. So, as we begin a new year, have you chosen your most important goals? Have you put them on paper? And do you have a plan for achieving them? If you are driven by vision, have goals that support that vision and a plan for achieving them, you’ll have clarity about what to do and what you can let go of. You’ll be empowered, not overwhelmed. And you’ll be excited because you know where you’re going and you have a map that will get you there. On January 19, Mr. Byrd will be conducting a free goal-setting webinar for my subscribers. Please join us. Register here for this free webinar and make 2011 your best year ever. What could you do if you didn’t know any better? This clip, from the movie, “Facing The Giants,” is a poignant reminder that we can do more than we think we can. It also shows you why you should never give up. I just finished reading, "Double Your Income Doing What You Love," by Raymond Aaron, which describes a unique method of setting and achieving goals. One of the perennial issues in goal setting is whether we should set big goals, which inspire us to reach high but usually leave us disappointed, or small goals, which we almost always achieve, but don’t take us very far. Aaron presents a system that provides the perfect answer, one I have never seen before. "Instead of recording a goal, you subdivide your goal into three levels of achievement," he says. The first level is what we are almost certain to do, not based on our hopes but on our actual track record. "It is not much more than a to-do item," he says. But just because you are almost certain to do it doesn’t mean you will and so it is still a goal. This first level can be called the "minimum." The next level is your "target". This is a stretch beyond what you are confident you can do. The highest level he calls "outrageous" and it is the most challenging of the three, practically impossible to achieve. By setting three levels of the same goal, you will always achieve that goal. You are guaranteed to succeed at some level, and thus your self-esteem is enhanced (the rationale behind setting easy goals) while you are simultaneously inspired by your bigger target and outrageous goals. You’ll hit your target goals often enough, and sometimes hit (or make significant progress towards) your outrageous goals. The bottom line of this system is that you hit more goals more often. Aaron also suggests using monthly goals as your primary time line, long enough to accomplish something meaningful but short enough to be held accountable. Monthly goals are tactical, the mechanics of reaching our long term (annual) strategic goals. He also tells us that while we are responsible for our lives and, therefore, the accomplishment of our goals, this doesn’t mean we are the ones who have to do everything (or anything) towards their achievement. Aaron is a proponent of delegation, urging us to do only what we love. "When you set a goal, you likely wonder when you are ever going to find time to complete it. When I set a goal, I wonder who is going to do it. If it’s not one of my special talents, I delegate it so that it gets done." Over the last twenty-four years, Aaron has mentored thousands to success with his goal setting methods, and, not surprisingly, suggests everyone will benefit from "a mentored life." "You do what makes sense to you. Therefore, on your own, you keep doing the same thing all the time, because it makes sense to you. To have a giant leap forward in your life, you need to do what does not make sense to you. Only a very wise mentor can alert you to such new and strange actions you could take to make a huge change in your life." I recommend Aaron’s book. In fact, I guarantee you’ll get something out of it.